The Exit of the Year Award recognizes companies that were funded by Michigan investors and achieved a successful acquisition or exit. nuTonomy is strengthening the entrepreneurial and investment community by increasing capital available in the state. 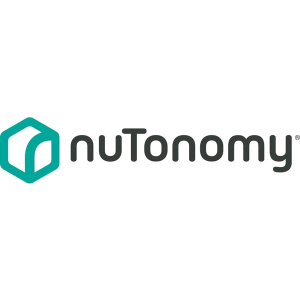 nuTonomy is a Boston-based mobility company founded by two world-renowned experts in robotics and intelligent vehicle technology, Karl Iagnemma, a Michigan native, and Emilio Frazzoli of MIT. The company develops full-stack autonomous vehicle software for enabling human-like performance. Detroit-based venture capital firm Fontinalis Partners was an investor in both the Seed and Series A rounds and an active board member of the company. nuTonomy software has been tested in the U.S., Singapore, and Europe. In 2017, Aptiv (formerly Delphi Automotive)—a global technology company that develops safer, greener and more connected solutions, which enable the future of mobility—acquired nuTonomy to scale and deliver autonomous vehicles throughout the country.